The first evidence of the Rosemary Branch appears in a 1594 plan of Finsbury Fields. It was an alehouse primarily used by archers at the nearby Shoreditch boundary. The Rosemary Branch’s current site is in a Victorian building that was renowned for its music hall. The 65-seat upstairs space hosts a variety of art and entertainment, including theatre, musicals, opera, dance, and cabaret (in keeping to its music hall roots). 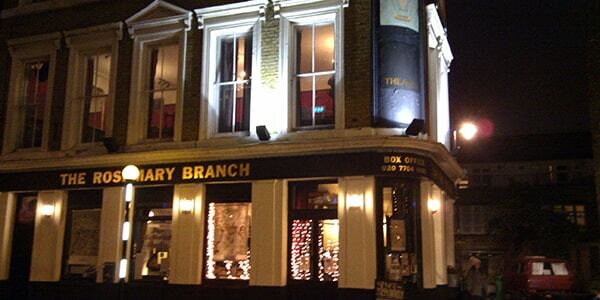 The Rosemary Branch is one of the only fringe theatres in London to have a ‘Royal Box’; a private two seat enclosure at the back of the auditorium. The theatre is available to hire on a daily or weekly basis.